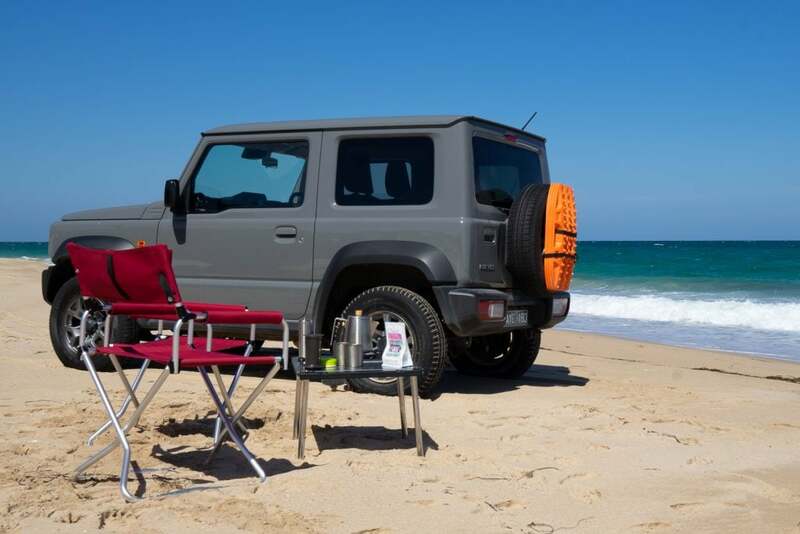 There’s something about a boxy 4×4 that just seems right for embarking on an adventure. The Suzuki Jimny seems to have passionate and loyal owners too. Perhaps it’s the bond formed while out creating memories, or maybe it’s simply an appreciation for the constant reminder they are to escape the city more often. 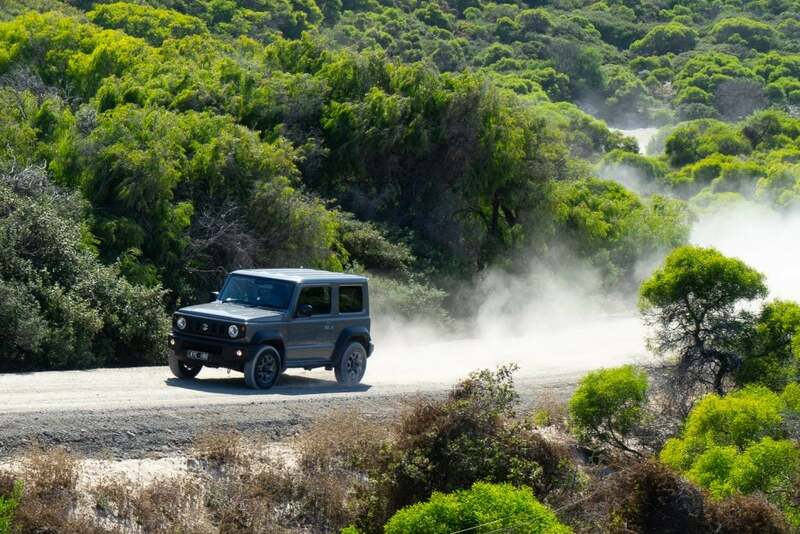 With the Mercedes Gelandewagen and Toyota LandCruiser 76 Series being amongst the last in this category, the newest Suzuki Jimny grabbed our attention in an instant. This is obviously not the vehicle for every purpose or everyone. But how does it go off-road? And who would it suit? Armed with those questions we headed out to find it. 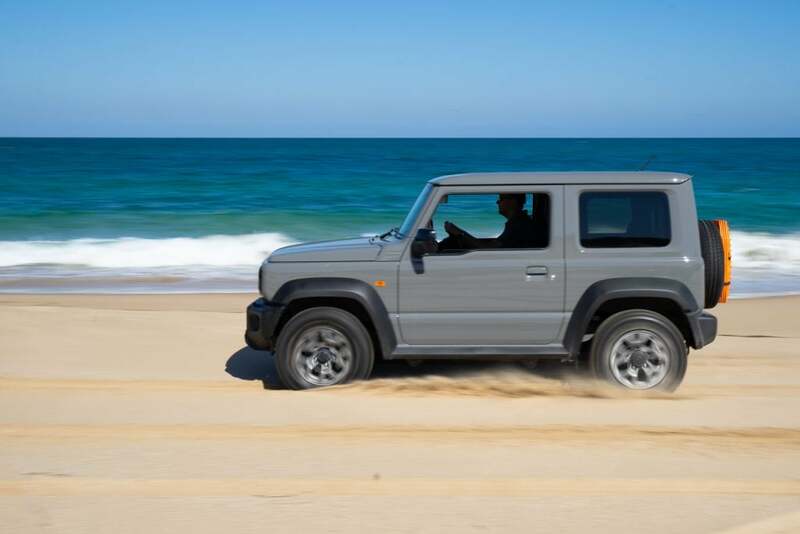 We set the Jimny up for success by adjusting the tyres to ten pounds, then dropped down onto the beach. After zooming through the soft sections we quickly realised that pace was entirely unnecessary. This little trooper was impossible to bog at any speed! While the Jimny produces a relatively minuscule 100 horsepower it only weighs 1,110 kilograms, which makes for a power to weight ratio of 1:11. To give some perspective a V8 diesel 200 Series in GXL spec has a power to weight ratio of 1:10. 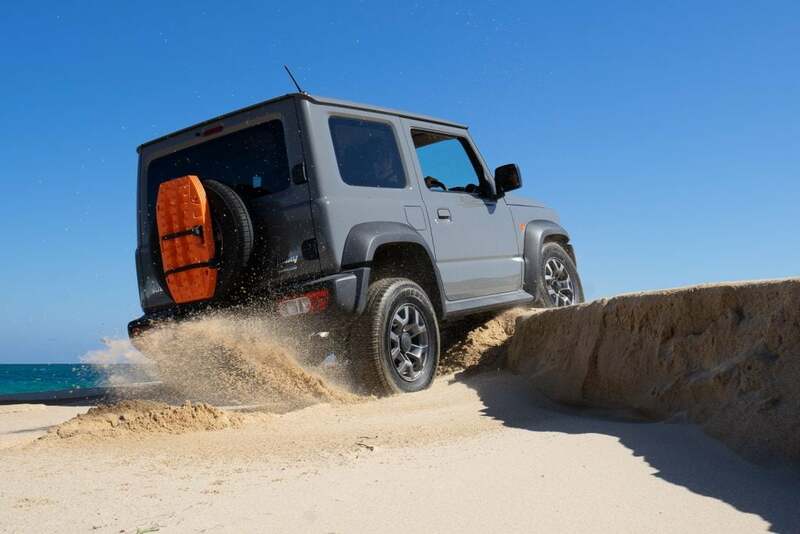 While we know which vehicle we’d rather tow with, on the sand power to weight, and overall weight matter – and the Jimny is like a buggy. 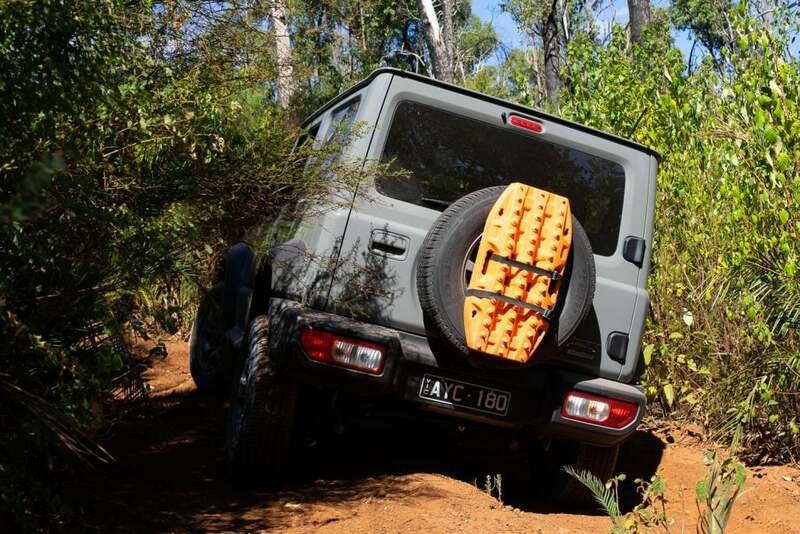 With rear passenger seated there is as good as no boot. With the seats folded forwarded though, there is quite decent storage. Day trips would be easy, but for longer trips travellers would need to look at more lightweight and compact hiking style camping gear to stow it all with ease. 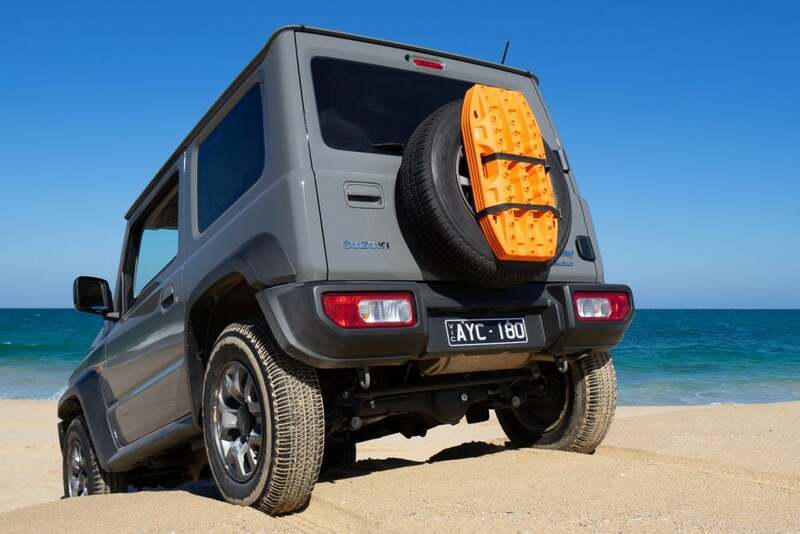 The roof has sturdy gutters and a long roof line, so roof racks would be easy to fit for carrying surfboards, kayaks, bikes or some extra gear. 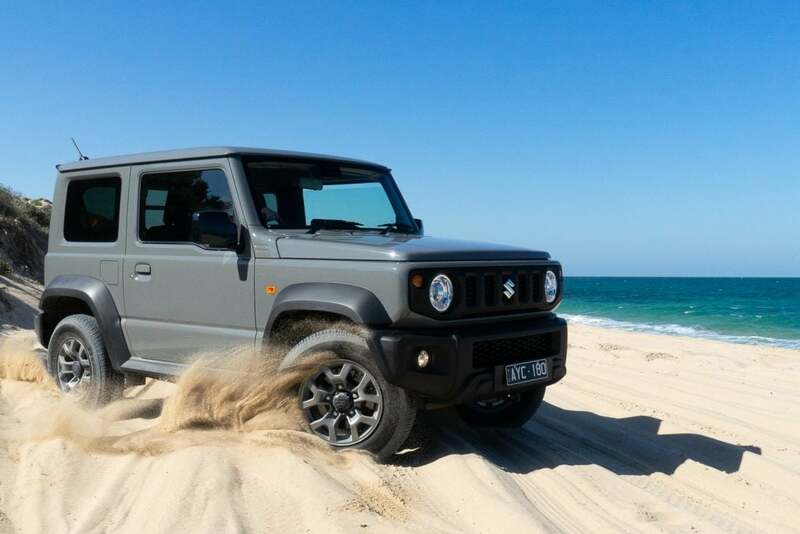 One of the things that impressed us most is how well the Suzuki Jimny performed in entirely stock form. It was too light to belly out on the beach, and the wheel base is so short it didn’t get hung up ramping over. It’s so nimble too, so picking great lines is easy. 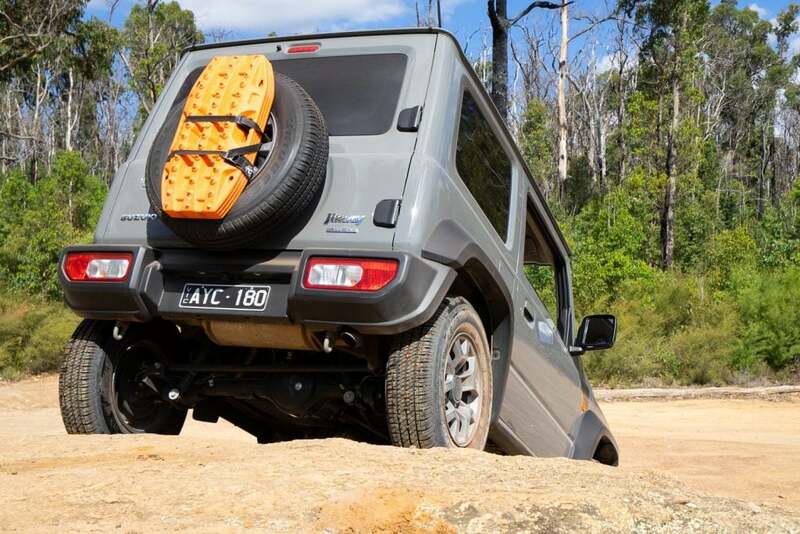 For those looking to add aftermarket accessories, quality tyres and suspension would transform the Jimny, like they do every 4×4. Our only thoughts would be to consider the impact the modifications might have on the power to weight ratio, that’s the reason this vehicle is so capable. If we built one we would go as light as possible and would keep the wheels relatively small to keep the gear ratios intact. The Jimny effortlessly navigates the city and performs exceptionally off-road. 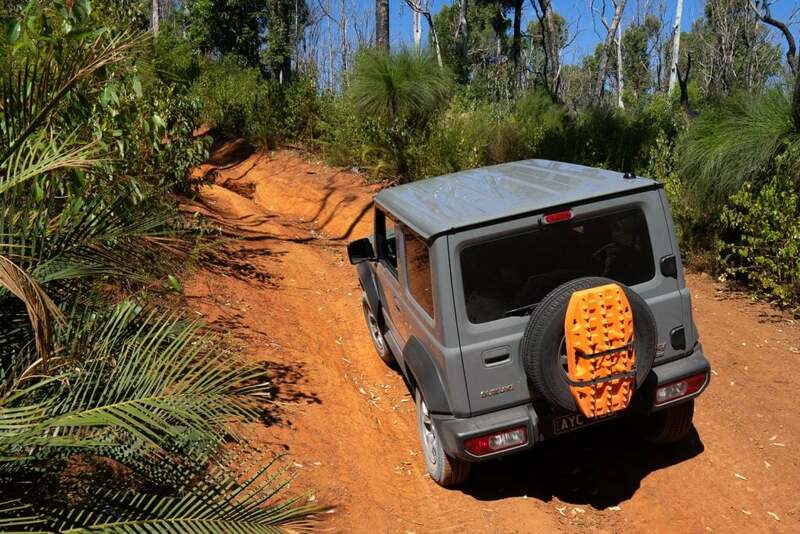 Whether you are experienced, or brand new to off-roading, if the size suits your lifestyle and plans, we think you’ll have an absolute ball in the Jimny, we sure did.